Quest Diagnostics operates 24 hours a day, 7 days a week, 365 days a year, providing our customers with a comprehensive menu of routine and specialty laboratory tests and services. With the consolidated capabilities of our regional laboratories, expanding international presence and the additional esoteric capabilities of Nichols Institute, we are able to offer unequaled convenience in utilizing one laboratory for all diagnostic and prognostic clinical testing needs. Quest Diagnostics contracts with over 1,500 preferred provider sites to provide expanded collection service options for our clients. Laboratory Corporation of America® Holdings (LabCorp®) is much more than a routine clinical laboratory. As a pioneer in genomic testing and the commercialization of new diagnostic technologies, LabCorp is one of the world's largest clinical laboratories, with annual revenues of $3.3 billion in 2005. Headquartered in Burlington, North Carolina, LabCorp has approximately 24,000 employees and offers a broad range of genomic/esoteric tests. Listed under the ticker symbol LH on the New York Stock Exchange (NYSE), LabCorp tests more than 370,000 specimens daily for over 220,000 clients nationwide. Click here to find a Labcorp Electronic COC enabled Collection Site. Nova Health Care Center's services are specifically tailored to accommodate the full needs of all TDI certified networks, public and private employers, DWC subscriber and non-subscriber markets, third party administrators and insurance carriers. These services include minor emergencies, injury care, pre-employment services, drug screens, physical therapy, online reporting and an expanded compliment of occupational health services. Internationally-Recognized Drug Free Workplace Web and Classroom Training and Consulting, and Distributor of Drug and Alcohol Testing Devices (DOT-approved EBTs and ASDs) and Supplies. We offer a full line of high-quality interactive Web-based Training Courses including On Line Exam and Printable Documents, and Classroom Training Aids including PowerPoint CDs, DVDs, Manuals, Tests, and more. IdentoGO Centers provide safe, professional and convenient locations for electronic fingerprinting and a growing number of other identity-related products and services. Highly trained agents will help ensure paperwork is in order and fingerprints are captured quickly and in high quality for results returned in a matter of days versus weeks. 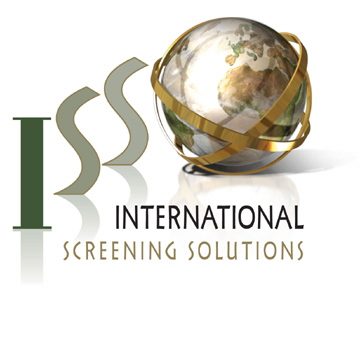 ISS is a global risk management firm and is one of the few companies in today’s screening industry to specialize in international background screening services. ISS maintains extensive experience working with many of the most prominent industries around the globe. Straightline International offers comprehensive background history checks and criminal records searches from around the world. Whether it is Asia, Africa, Europe, Oceania, South America, or North America.